Contains only naturally occurring sugars. I wanted a bit more texture in my son's porridges and this is just perfect! It works well with a bit of boiled water and mashed fruit, too. 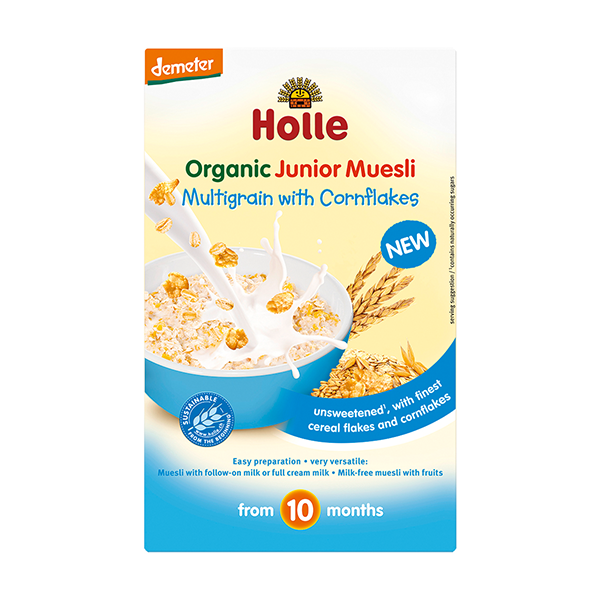 Really good product and I like that the cornflakes are with no added sugar. Very soft delicious taste. Not too sweet at all as some Muesli from supermarkets are far too sweet. I have been giving this to my son for breakfast and he loves it, fills him up for a long time too which is great. Yummy and organic which is a bonus! Can't argue with an empty bowl! 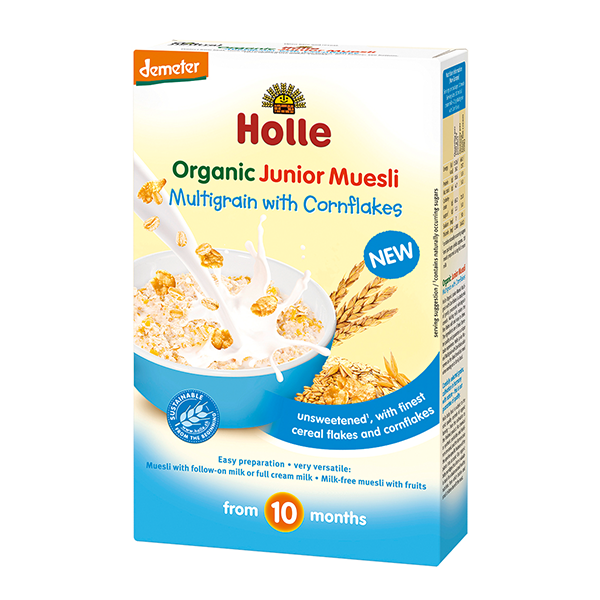 We decided to try the muesli for a little change as my son had been having the Holle porridges previously, and he loved it! 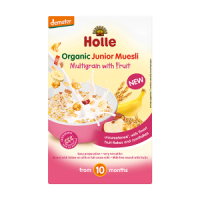 These muesli are so much nicer than organic supermarket baby mueslis and cost no more. 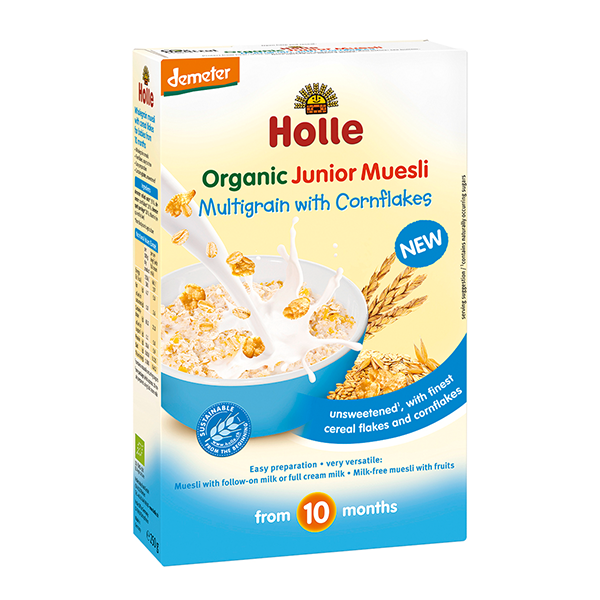 I just bought one pack of organic baby muesli from a big brand and although it has no nasty ingredients on the packet, it smellt and tasted like it had been fortified with glutamate. Holle is far superior in taste. We prepare it with hot milk or formula and perhaps some dried apricot purree for the iron kick mixed in. Nice cereal for our son but probably not a regular buy.